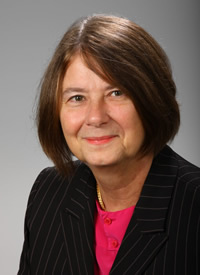 Ann Marie Hill is an Associate Professor of Practice in health administration and public health at the Edward J. Bloustein School of Planning and Public Policy. She also serves as Internship Coordinator for all undergraduate majors within the school. In addition to her teaching responsibilities, she assists in curriculum development, accreditation and certification, and non-traditional student services. Previously, she worked as the Executive Director of the New Jersey Commission on Cancer Research, the only state agency within New Jersey that promotes and funds significant cancer research projects proposed and carried out by New Jersey scientists. During her tenure with the Commission, nearly 500 cancer grants and fellowships (totaling more than $23 million) were awarded to cancer researchers throughout the state. Professor Hill also administered the New Jersey Breast Cancer Research Fund, a dedicated fund fueled by a check-off box on the New Jersey State Income Tax, and the “Conquer Cancer License Plate Fund,” supported by monies from the first specialty license plate in the country dedicated to cancer research. She has planned and implemented national conferences, scientific symposia, and public education programs. Professor Hill has been a key staff member for policy development of statewide strategic actions plans to reduce mortality for breast and prostate cancer, and has been involved in legislative initiatives for mammography, prostate screening, and genetic testing. She has worked with the Working Group to Improve Outcomes in Cancer Patients to launch the first voluntary agreement in the country that provides health care coverage for clinical trials. 2014: Wieder R, Delarosa N, Bryan M, Hill AM, Amadio WJ, “Prescription Coverage in Indigent Patients Affects the Use of Long-Acting Opiates in the Management of Cancer Pain,” Pain Med. 2014 Jan;15(1):42-51. doi: 10.1111/pme.12238. Epub 2013 Sep 23.